TARA Labs high-end audio cables are world renowned for our innovative technology and design. Beginning with our proprietary SAOF-8N conductors - Super-annealed, oxygen-free, mono-crystal, frequency-tuned, 99.999999% pure copper conductor. *Below is a breakdown of the process. 99.999999% Copper conductor: This translates to an audio cable conductor that is 99.999999% pure, for incredible musicality, detail & performance. Super Annealing: is a process that softens and increases the conductivity of the copper conductor. TARA Labs take this process several steps further by annealing the copper conductor beyond the ASTM standard. That’s the: American Society of Testing and Materials. After annealing, the RSC conductors are polished in-line, and will become finished SA-OF8N® Rectangular Solid Core conductors ready for insulation using advanced polymers, air or liquid-film technology. Oxygen-free: Removal of all oxygen molecules for better signal transfer and less distortion. Mono-Crystal: TARA Labs uses a proprietary process to create a single mono-crystal conductor that translates into one long continuous crystal. This virtually eliminates all distortion caused by the junctions between crystals in copper conductors. Those junctions acting like miniature diodes, will alter the flow of high-frequency AC, causing the audible distortion. Mono crystal eliminates this effect. Frequency Tuned: This is accomplished once the copper is extruded into a rectangular shape with exact geometrical measurements. This creates a conductor that is superior in high-frequency extension and detail. Rectangular Solid Core conductors (RSC): Starting with Oxygen Free Eight Nines Copper (99.999999%), the copper rods are extruded into long, unbroken, mono-crystal copper rectangular conductors. The unique rectangular shape is geometrically formed to having specific ‘frequency-tuned’ proportions. RSC offers a shape that has a unique advantage over round conductors. RSC has the necessary mass for solid bass, yet are thin enough for a coherent reproduction of mid-range and high frequencies. The RSC is not subject to the same high frequency losses that hamper traditional round conductors. To further understand the principle behind RSC technology, it is necessary to understand a phenomenon known as “skin effect” This principle states that in a round conductor, higher frequencies will tend to travel towards the outside, or “skin” of the conductor, while lower frequencies will travel closer to the center of the conductor. The larger the diameter of a round conductor, the worse the effect will be, resulting in a significant roll-off of high frequencies in large gauge conductors. Because of its rectangular cross section, an RSC conductor essentially has no center like a round conductor. Therefore it does not suffer the same high frequency losses. It is the only conductor that is able to combine high current-carrying capability with extreme frequency linearity across the musical spectrum. (RSC) Why Rectangular? Our proprietary RSC (Rectangular Solid Core) conductors, offers a unique advantage over round conductors. They have the necessary mass for solid bass, yet are thin enough for a coherent reproduction of mid- range and high frequencies. The frequency-tuned RSC is not subject to the same high frequency losses that hamper traditional round conductors. To further understand the principle behind RSC technology, it is necessary to understand a phenomenon known as “skin effect” This principle states that in a round conductor, higher frequencies will tend to travel towards the outside (or skin) of the conductor, while lower frequencies will travel closer to the center of the conductor. The larger the diameter of a round conductor, the worse the effect will be, resulting in a significant roll-off of high frequencies in large gauge conductors. Because of its rectangular cross section, an RSC conductor essentially has no center like a round conductor. Therefore it does not suffer the same high frequency losses. The final results are limitless high-end frequency extension, exceptional detail, frequency linearity of midrange & bass, low-noise floor, holographic soundstage with superb life-like musicality. 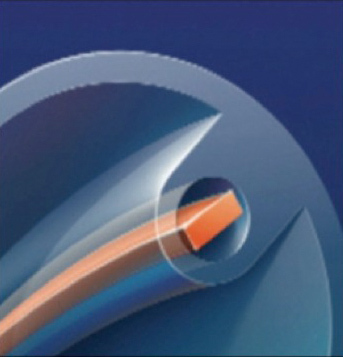 TARA Labs created “Air-Tube Dielectric Technology” back in 1986, and is often employed in our reference grade cables. TARA Labs also uses a combination of premium Aero-PE® GMI™ and medical grade Teflon when constructing dielectrics. As with all TARA Labs audio cables, it not only about our proprietary materials, it’s also about the geometry of shape and size. 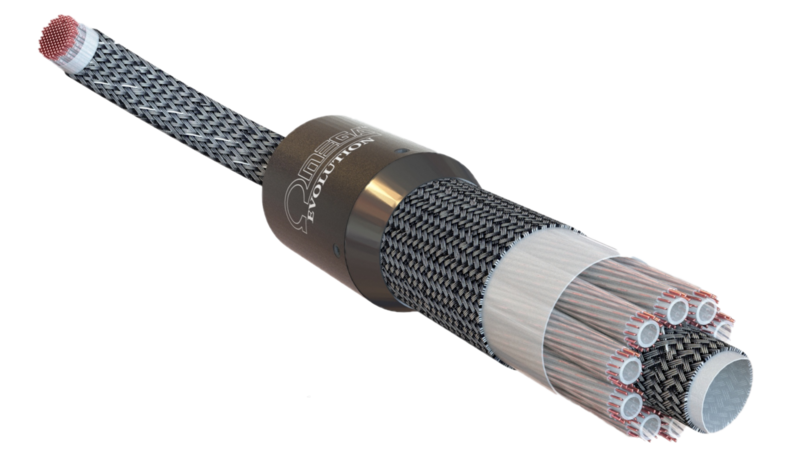 Exact cable construction geometry is imperative to how the final resulting cable will sound. Measurements as small as microns is absolutely crucial to developing the final product to be used in conjunction with their proprietary conductor technology. Dielectric materials of Aero-PE® GMI™, which translates to “Glass Microsphere Infused.” GMI can be described as microscopic hollow glass spheres that are infused into the aerospace polyethylene dielectric, there for a minimal amount of Aero –PE is actually used in the insulation of each TARA Labs conductor for our speaker cables. TARA Labs uses only the finest terminations when terminating their interconnect audio cables. All interconnects come equipped with state of the art XLR, RCA and BNC gold plated terminations. Each interconnect termination features an outer layer of gold-plating of 30 microns over high copper content alloy, to ensure frequency linearity and audio band signal transfer. TARA Labs speaker cables come equipped with “banana spade modules” Known as BSM’s. This allows the listener to switch out the termination using either bananas or spades. This technology proves invaluable when switching out multiple components. Each BSM is internally hollowed to ensure high frequency extension. Soft pins are also available for our speaker cables. TARA Labs uses a variety of specialized testing procedures and equipment to ensure that every cable meets our rigid standards. Each cable must pass through a variety of stringent testing stations. Example: Point to Point Signal Continuity using Hewlett Packard and Tektronix spectrum analyzers to ensure that every cable has the correct specifications. The final process is that each cable is evaluated and listened to in our sound room using a wide variety of audio components.